Using several genetic analytical methods, an international research team has identified an interbreeding event between Neanderthals and modern humans that occurred about 100,000 years ago — tens of thousands of years earlier than previous scientific estimates. Dr. FU Qiaomei, a researcher at the Institute of Vertebrate Paleontology and Paleoanthropology (IVPP) of the Chinese Academy of Sciences, is part of the team that made this ground-breaking discovery, which was published February 17 in the journal Nature. The authors have pieced together the first genetic evidence supporting the scenario that some modern humans may have left Africa in an early migration and admixed with archaic hominids in Eurasia before the ancestors of present-day non-Africans migrated out of Africa less than 65,000 years ago. 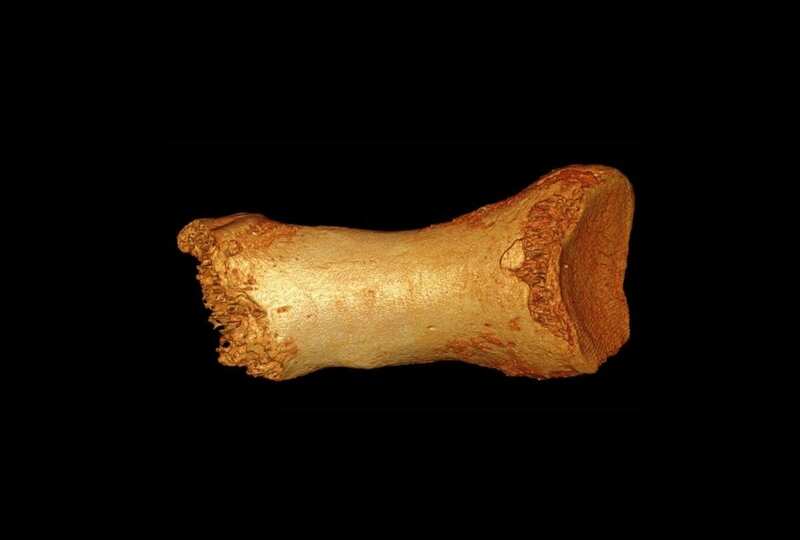 The breakthrough involves a specific “Altai Neanderthal” (Figure 1), whose remains were found in a cave in the Altai Mountains in southern Siberia. The individual shows signs of gene flow from modern humans. In comparison, the two Neanderthals from European caves who were also sequenced for this study, as well as a Denisovan, all appeared to lack specific DNA derived from modern humans. Some of their findings reveal that alleles in the windows of the Altai Neanderthal genome with low divergence from Africans have higher divergence from the Denisovan than Denisovan windows with low divergence from Africans. The latter windows in the Altai Neanderthal genome have higher heterozygosity than in the Denisovan genome. Research also found that a demographic model that estimates gene flow from these early modern humans into the ancestors of the Altai Neanderthal to be about 1.0-7.1%. Although the exact source is unclear, the authors suspect that it may have come from a deep population that either split off from the ancestors of present-day Africans or from one of the early African lineages. The study finds that complex computer simulations also support the data. The team was able to further calculate that early modern human introgression into the Altai Neanderthal lineage occurred 100,000-230,000 years ago, based on the amount of shared haplotypes (50 kilobases or longer in length) between modern humans and the Altai Neanderthal. This introgression is much earlier than previously reported gene flow from Neanderthals into modern humans outside Africa (47,000-65,000 years ago). Possibly, there was an extended lag between when this group branched off from the modern human family tree, roughly 200,000 years ago, and when its members left their genetic mark in the Altai Neanderthal, about 100,000 years ago, before the group became extinct. This research was partly supported by the Special Foundation of the President of the Chinese Academy of Sciences.